In 2012 a number of state houses were relocated from Glen Innes in Auckland to Kaitaia, making way for property developers. A Place to Call Home follows two women at odds with each other, both railing for positive change. Betty Kanuta is an evicted tenant, leading protests against the destruction of her community. Fleur Palmer is purchasing some of the state houses to build a Māori housing development, to help poor families in Kaitaia. 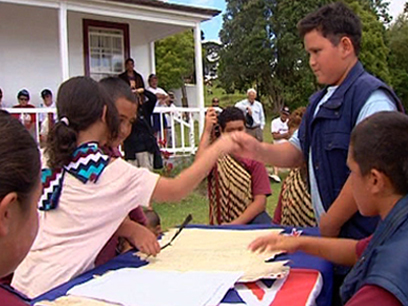 Director Briar March's documentary debuted on Māori Television in 2014 as Whare Tapa Whā, before being expanded into a feature-length cut. Kauri stand amongst the giants of the tree world, able to grow more than 50m tall and girths of up to 16 metres, and live over 2000 years. This NFU film looks at the ancient conifer and its relationship with people. A thoughtful narrative traces the kauri's utility, and contemporary efforts to preserve remaining trees — the tree’s timber and gum fuelled colonial growth, but milling devastated the great northern forests. Archive footage evokes the pioneer days: kauri dams, woodsmen dwarfed by felled trunks, and Dalmatian gum hunters scaling sky-scraping trunks. Director Florian Habicht returns to his Northland home turf to chronicle the annual Snapper Classic Fishing Contest, in this full-length documentary. First prize is $50,000, but the participants chase the joy of the cast as much as the purse. The solitary figures on the epic sweep of Ninety Mile Beach provide poetic images, as Habicht teases out homespun philosophy while fishing for answers on love, the afterlife and whether fish have feelings. The soundtrack features 50s style instrumentals from Habicht regular Marc Chesterman, plus singalongs on the sand and at the local pub. 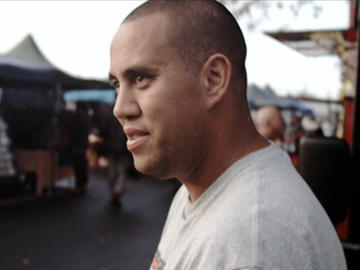 This 2015 Loading Docs short follows Tihei Harawira as he freestyle raps at Otara Markets. Diagnosed with autism and dyslexia as a child, Harawira didn’t ‘fit’ and was the victim of bullying. But an appreciative audience at the flea markets — where he busks ad hoc rhymes set to a beat box — have enabled Tihei to find his voice. ‘Tihei’ means “the breath of life”, a name he was given by an aunty after being resuscitated at birth. 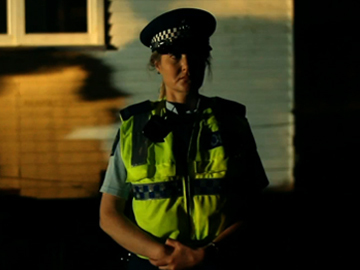 Tihei was directed by Hamish Bennett and produced by Orlando Stewart, the team behind 2014 NZ Film Festival award-winner Ross & Beth. Te Araroa is a 3000 kilometre, Aotearoa-long walkway. 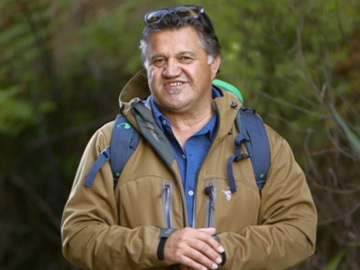 In this Māori Television series, host Pio Terei walks it, sampling “New Zealand experiences”. 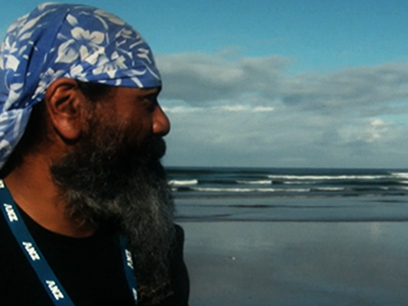 In this first episode, Terei treks his home turf: the trail’s northernmost stage, from Te Rerenga Wairua (Cape Rēinga) to Kaitaia. Pio goes fishing in Ahipara; gets kitted up with a knife, and a kauri tokotoko (walking stick); gets stung by a manuka honey bee; meets the Tarara (NZ Dalmatian) people, and talks mission statements and hangi with members of the hīkoi that "changed the face of the nation" – the 1975 Māori Land March. 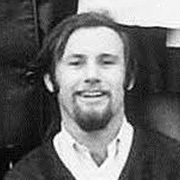 Peter Read began his screen career in 1968 at the NZ Broadcasting Corporation, as a trainee editor in his hometown of Christchurch. He decided camera operators had more fun, so after an OE to London and a move to Wellington he became a camera operator. Read worked on a wide variety of shows from lifestyle (Country Calendar) to drama (Cuckoo Land) and commercials. Read passed away on 21 June 2018. 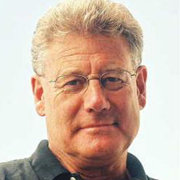 Peter Montgomery’s colourful and vibrant commentaries made him “the voice of New Zealand yachting”. 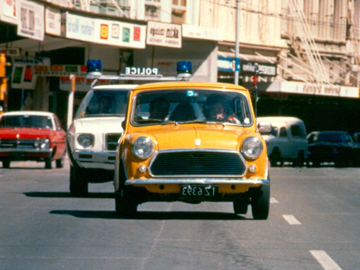 Through the 1980s and 1990s, Montgomery played a major part in the sport’s move to mass popularity and had a central role in radio and TV coverage of Team New Zealand’s America’s Cup campaigns. On dry land, he has covered many other sports, and made the Eden Park side-line his own over two decades of rugby commentaries. 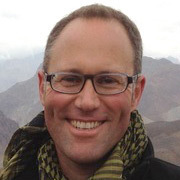 Reporter Garth Bray’s education encompasses Kaitaia College, AUT, DJing on far north station Te Hiku 97.1 FM, and newsreading on Auckland’s 95bFM. On screen, the self confessed "politics tragic" has covered multiple elections for One News, served as a TVNZ correspondent in Australia and Europe, and was nominated for a Qantas TV Award for a 2005 Sunday report. In 2014 he joined the team on Fair Go.